Arri Ball Heat Tripod configured for Astronomy. The handle has been installed from the opposite side. 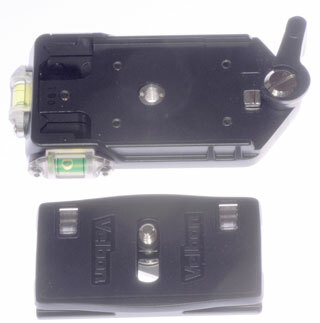 Shutter release cable. Mirror Up & Long Exposure Noise Reduction on. This is a European standard 100mm ball head tripod made by Arri (arriflex) in Western Germany. 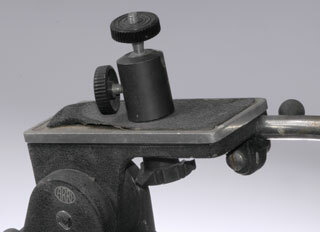 It's designed to hold a movie camera and allow smooth camera moves. Probably made for one of their 16 mm movie cameras. Wooden legs have very similar properties as carbon fiber and fewer problems with vibrations than metal tripod legs. When I got this used tripod the pan motion was rough. After opening it up and cleaning out the old dried up grease and lubricating it with Silicon grease the pan motion now is very smooth. The head is made of nicely machined Aluminum parts. 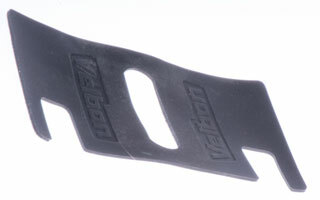 It is not a "fluid' head, but is extremely smooth in operation when properly lubricated. Probably when it was made they didn't have Silicon based lubricants so whatever they used biodegraded with time. 16 Sep 2011 - The head tilts forward/down 80 degrees and back/up 43 degrees. At first this might seem like a limitation, but it's only a limitation if you need to do a larger tilt all in one motion. For example in the normal configuration if you want to look high in the sky (like for astronomy) you can not do it. If the camera is installed with the lens pointing 180 degrees from where it was you can now look up in the sky, but the handle is also pointing to the sky, not very convient. 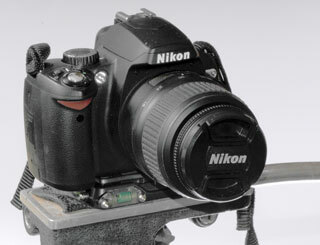 BUT, the handle can be unclamped and removed then installed from the other side so now it's to the back of the camera. 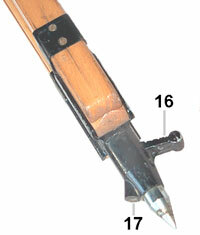 See Fig 5 at the top of the page. 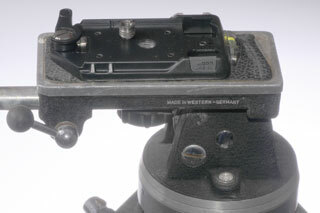 21 Aug 2011 - The ball head adapter from the European 3/8-16 tripod head to American 1/4-20 is not very stable. I've ordered a Velbon QRA-635L Quick Release Plate & Platform from Holga Camera (under $50 including shipping). This is a Quick Release head that comes with a 1/4-20 camera adapter plate and the base has in insert that adapts between 3/8-16 and 1/4-20, so removing the insert the base will fit this tripod. Being wood is good in that it reduces vibrations, but it's also bad in that you can't leave it outdoors in the rain. 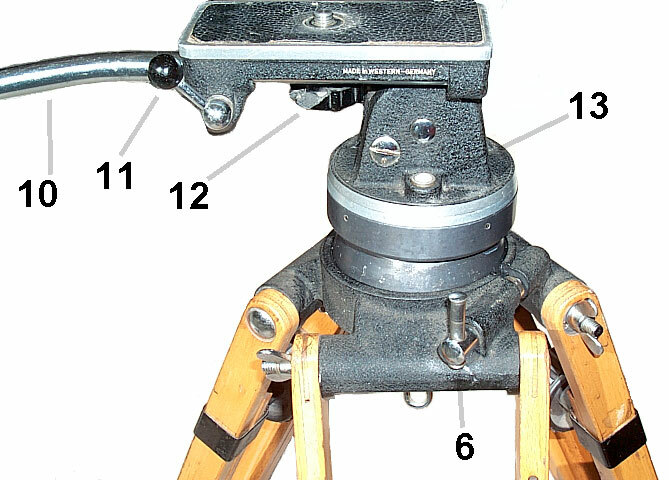 It may be possible to use a Bogen sliding plate to adapt to American 1/4 thread and support a much heavier load than the ball and post type adapter in Fig. 3 # 14. Sliding plate supplied with 2 X 1/4" and 2 X 3/8" camera fixing screws. The question is what threads are on the bottom of this plate? 8 Leg extension calibrated from 0 to 65 cm. 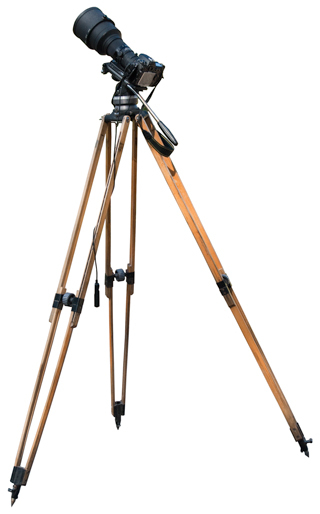 overall height ranges from 36" to 64"
The 316 is designed for use with cameras weighing up to 35 lbs. 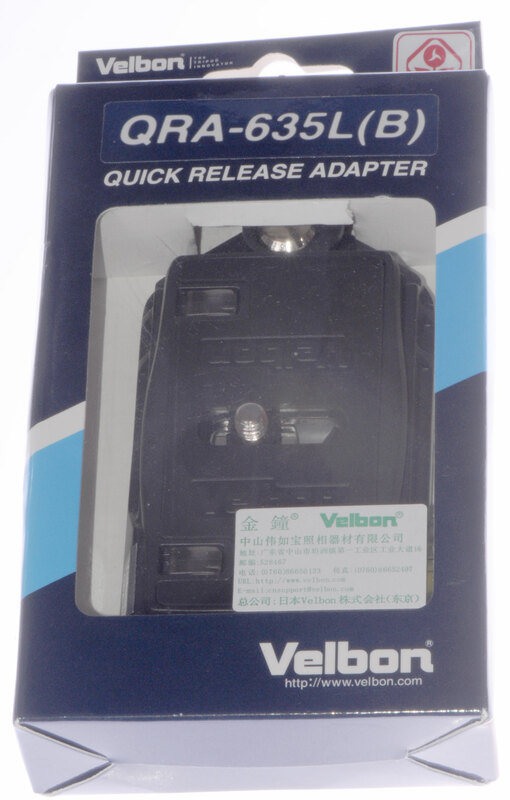 It incorporates variable balance adjustment and a fixed drag system which allows for finger tip control at all times. Half ball for levelling video heads on tripods with 100mm bowl. Adapts flat-base video heads for tripods with 100mm bowl. 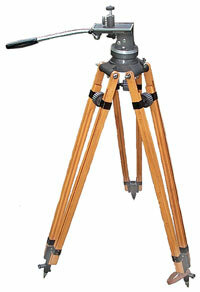 Shows tripod in lower position, about 16" tall. 17 M6 tapped hole for dolly or platform? Sep. 2011 got this to replace the 3/8-16 base to 1/4-20 ball head adapter. Looking for a much more robust way to mount a camera. Nikon 300 mm f/2.8 lens to move, a BIG problem. This is the old ball adapter. 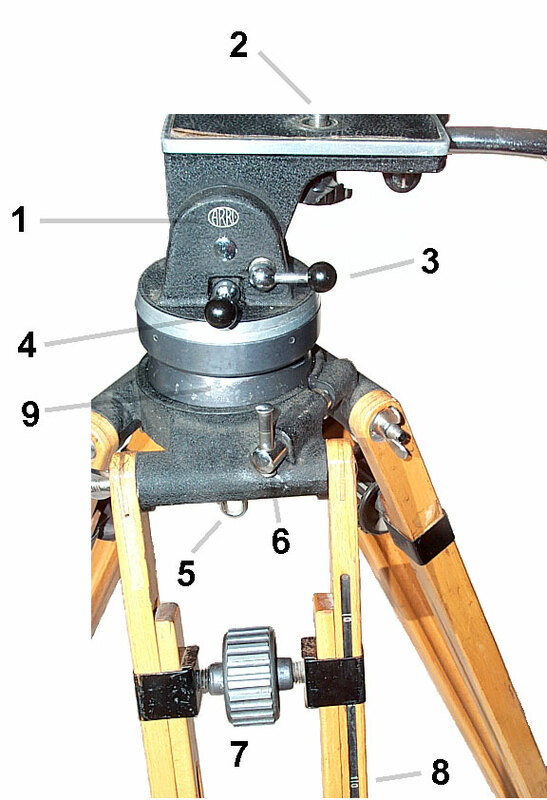 base attached to tripod with 3/8-16 thread. sitting on the base plate. used to tighten the 1/4-20 camera anchor screw. 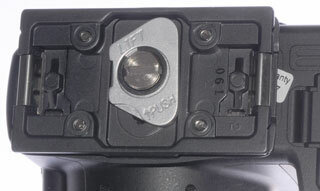 Bottom view of camera with tool in storage position. under the load of the Nikon D300s with the 300mm f/2.8 lens. So I peeled it off. This is the [an error occurred while processing this directive] page created 16 Feb 2003.